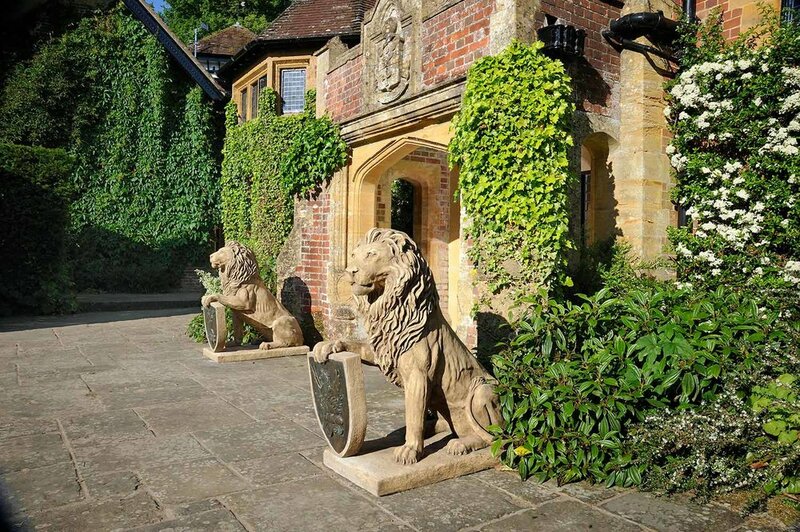 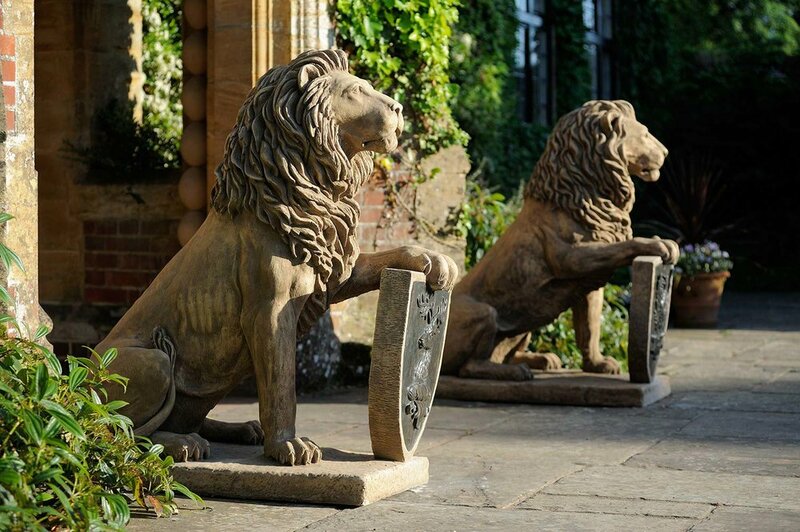 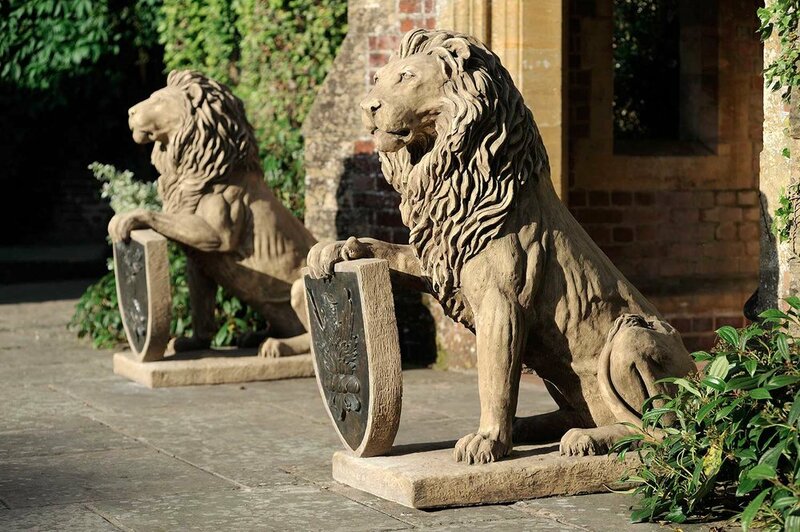 The lion garden statues have been faithfully sculpted in clay and cast in reconstituted stone, then aged by hand. 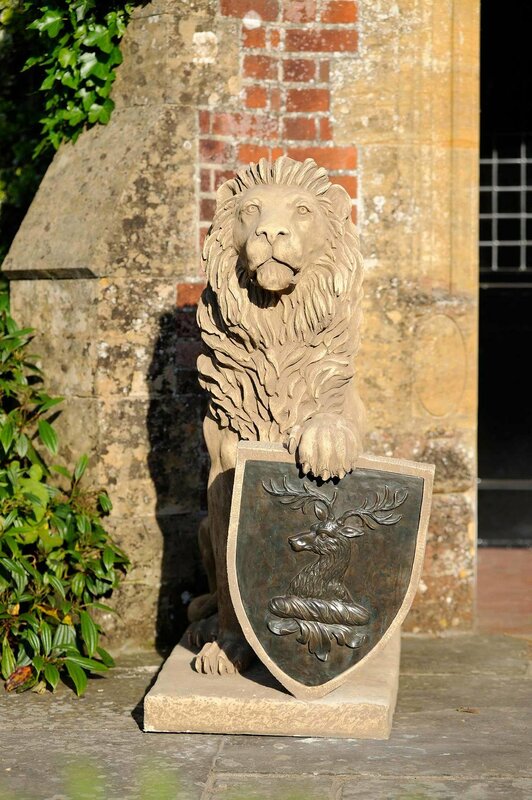 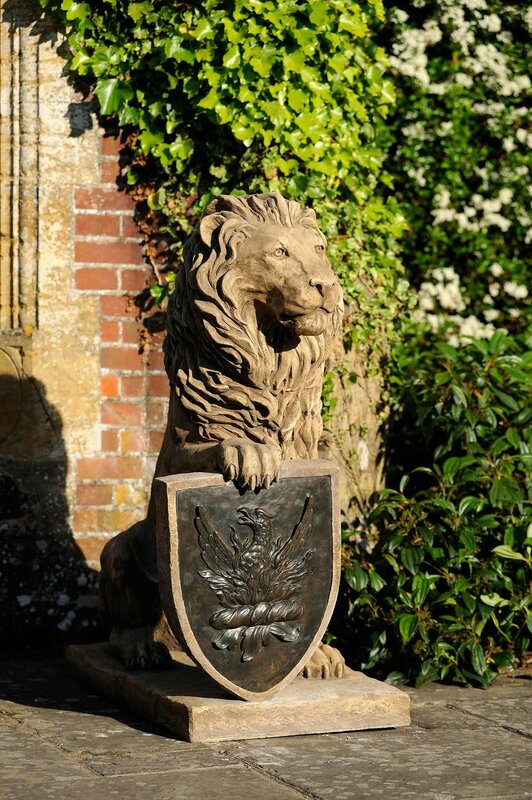 The lions shields are made of patinated bronze resin and can be made to clients personel specification (ie Family Coat of Arms). 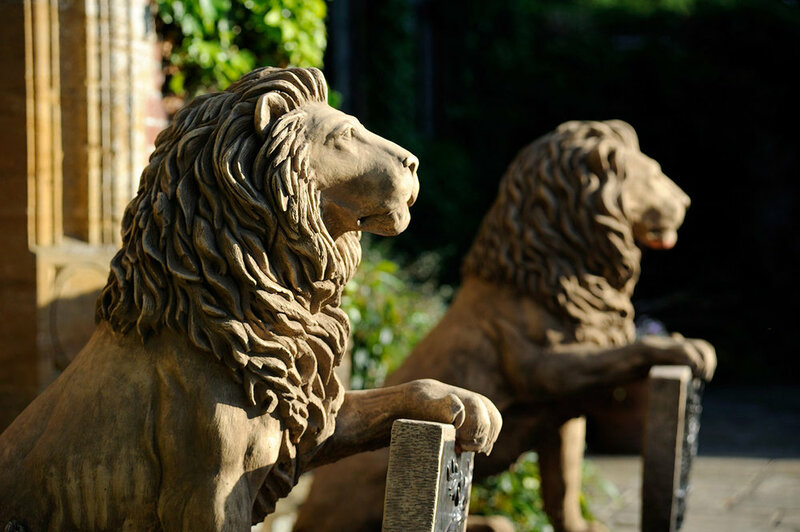 Lion 2 plinth slightly different 52cm wide x 102cm long (1' 9" x 3' 4") height same @124cm.